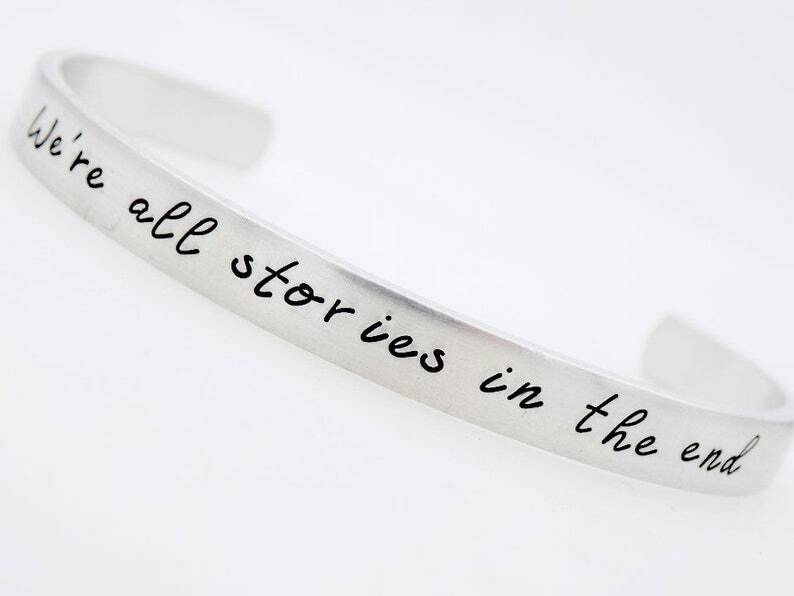 "We're all stories in the end" is handstamped on this cuff. the open side of the cuff fits your wrist from the side. to the 7" for Men, or anyone with a wrist above 8"